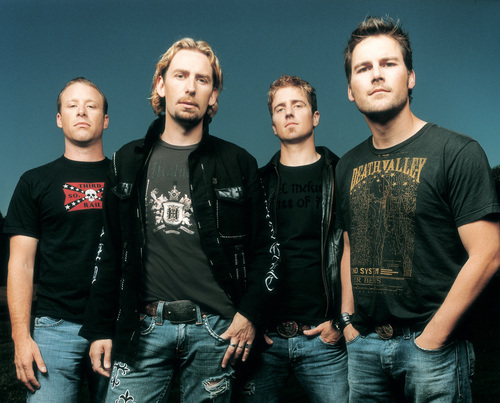 Nickelback. Nickelback, cuz I can. HD Wallpaper and background images in the Musica club tagged: nickelback chad kroeger ryan peake mike kroeger daniel adair brandon kroeger ryan vikedal music band. This Musica photo contains jersey, t shirt, maglietta, tee shirt, and t-shirt. There might also be usura del tempo libero, abbigliamento sportivo, polo, sport shirt, polo camicia, camicia sportiva, and manica corta.